It is no secret that the management of any IT infrastructure is becoming more challenging every day. Axians and partner NiCE IT Management Solutions show you ways to leverage well known systems like Microsoft System Center and Hewlett-Packard Enterprise Operations Manager i, by adding meaningful and innovative functions. Learn more about efficient IT Management based on field reports from the experts at this event. IT Service Management and Monitoring is a challenge IT Admins face every day. Axians and NiCE IT Management Solutions offer solutions, that both enhance and complement your Microsoft System Center Suite as well as your HP OM und HPE OMi by adding essential functionalities. 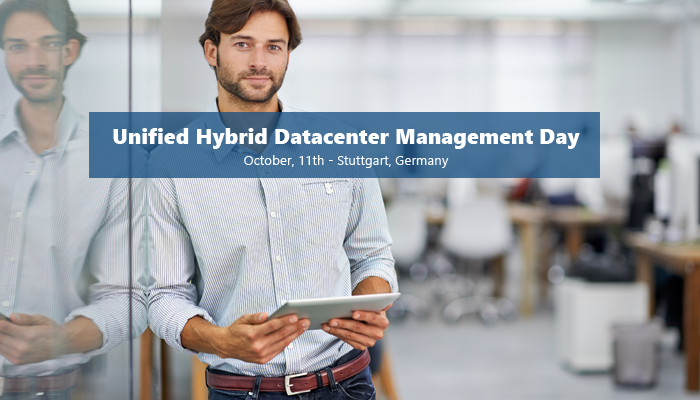 At this event you will learn how to manage hybrid structures, get tips and tricks on System Center Operations Manager, and discuss with the experts in a panel about the various areas of IT operations and the potential pitfalls you might encounter. The session will be closing with a Live Demo of some of our management solutions.